"The basic goal is to recreate the original Doom and Doom 2 in the idTech4 engine with all the engine eye candy ID Software has provided us with so we can recreate the game for a classic Doom player to remember and enjoy the memories of the classics in a modernized way, but keeping the old Doom spirit well in the game." The Doom Reborn project has just released a pre-beta version for testing so if you are interested in heading back to the original game with an updated skin, check it out. I'll be watching this pretty closely as loved other fan recreation projects of old games like Black Mesa and Diablo Mortal Shroud. "The basic goal is to recreate the original Doom and Doom 2 in the idTech4 engine with all the engine eye candy ID Software has provided us with so we can recreate the game for a classic Doom player to remember and enjoy the memories of the classics in a modernized way, but keeping the old Doom spirit well in the game." I'll be watching this pretty closely as loved other fan recreation projects of old games like Black Mesa and Diablo Mortal Shroud. One addition to Doom 3 I loved was Super Turbo Turkey Puncher 3. It's a really funny game which nods to the original Doom. There is a Arcade Cabinet of Super Turbo Turkey Puncher 3 in the Mars Base Kitchen you can play right at the start. The only thing you can do in the game is punch and kill Turkeys. 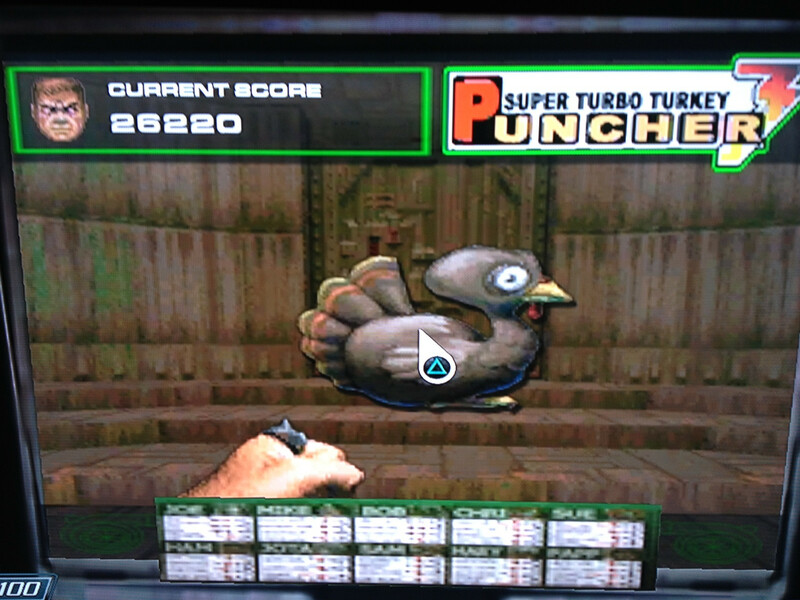 One thing I noticed during this play through of Turkey Puncher is that if you hit the punch button faster you get a higher score for killing a Turkey. With that knowledge I punched turkeys to my current high score of 26,220. I issue a challenge to all Super Turbo Turkey Puncher 3 fans, attempt to beat my score and post your results. I claim current champion status until... Read All One addition to Doom 3 I loved was Super Turbo Turkey Puncher 3. It's a really funny game which nods to the original Doom. There is a Arcade Cabinet of Super Turbo Turkey Puncher 3 in the Mars Base Kitchen you can play right at the start. Travis you really must try for my high score. I know you technically might not want to, even now many months later but have you thought about the future? For instance you may very well be on your death bed thinking..... "Why didn't I press that button more times?" This one I actually remembered. And really, you don't want to die with regret. I picked up Doom 3: BFG Edition on launch day because I love all things Doom. I was blown away with the original Doom and how it ushered in the era of shooters. I love Doom 2 and the double barred shotgun. When Doom 3 came out and I had a computer good enough to play it I enjoyed it for its dark horror style. A few years later I replayed Doom 3 and again, enjoyed its dark atmosphere but that time I turned off the lights and cranked up the sound. When iD Software announced Doom 3: BFG Edition I was excited. Doom 3: BFG Editions big additions are the original Doom & Doom 2. It also includes some new content for Doom 3 in the Lost Levels. It can also be played in 3D,... Read All I picked up Doom 3: BFG Edition on launch day because I love all things Doom. I was blown away with the original Doom and how it ushered in the era of shooters. I love Doom 2 and the double barred shotgun. When Doom 3 came out and I had a computer good enough to play it I enjoyed it for its dark horror style. A few years later I replayed Doom 3 and again, enjoyed its dark atmosphere but that time I turned off the lights and cranked up the sound. When iD Software announced Doom 3: BFG Edition I was excited. Doom 3: BFG Editions big additions are the original Doom & Doom 2. It also includes some new content for Doom 3 in the Lost Levels. It can also be played in 3D, if you have the right hardware for it. I have Doom 3 on PC and wanted to try it out on a new platform so I picked it up on the PS3. From the reviews I read and by playing it in person at PAX on XBOX 360 and now the PS3 I can say that Doom 3 plays buttery smooth. If you are console bound, love shooters and want something that doesn't lag for second, Doom 3: BFG Edition is for you. When I got the game the first thing I did was boot up the original Doom to show my wife and see how well it played. It played very well but she was unimpressed with the game as it is now 19 year old. I look at it with love, but if you didn't play it I can see how it wouldn't impress. I then started a new Doom 3 game and was immediately flooded with awesome memories and a wave of excitement for entering Mars base again. The beginning of Doom 3 has a compelling pulp sci-fi horror premise. After spending a ton of time messing around in base and getting a high score in Super Turbo Turkey Puncher(i'll make a separate post about that) I went on the first mission and header into Mars city basement. I won't spoil the story but not too long after you get your pistol the S hits the F and you are shooting zombies and demons just like iD intended. One thing I noticed playing the game is that you can't zoom to aim. Modern shooters allow you to zoom your gun in to aim better, Doom 3 does not. This isn't something they took out of the game, it simply wasn't present in the original. After playing modern shooters you sort of realize you cant zoom and wherein its not a big deal, is something worth noting as games march ever onward. So far all I have played of Doom 3: BFG in length is the original Doom 3 campaign and it seems pretty much as I remember it. They sprinkled more ammo in places than I remember, things are way brighter but that doesn't make the game easier. I haven't spent any time worrying about ammo conservation, just which gun to use to dispatch my foes. The big change in Doom 3: BFG Edition is that they allow you to turn on the flashlight while you hold your gun. Now this isn't as bad as I thought, though I do appreciate I have the original Doom 3 discs so I can go back and play it the way it was. That said, when you turn on the flashlight holding a pistol the light beam comes in from the side in a way that seems odd. Its like the Marine is holding the light way out to his side at an angle. Its strange and sort of threw me off when it turned on. I was like "how can he be possibly holding the light that way?" But then again, its a game about demons and eventually you do go to hell... It's not a big deal, it was just something I noticed. I still haven't played much of the original Doom, Doom 2 and the lost levels. When I do, ill post more. I'm actually not sure I'm going to get this. I already have all the games, and there are mods for Doom 3 that make it look better than the BFG edition, and add some gameplay tweaks. I'd basically be paying $20 for the lost mission, which from what I understand is just a horde mode. Have you played with any Doom 3 mods in the past? How does it compare? I didn't play it with mods before so not point of comparison there for me. I linked to a side by side video for what graphics changed and wherein it looks a bit better its not night and day better. Ill check out the lost levels reviews, seemed like more than moar bad guys but I could be wrong. On PC online Multiplayer for DOOM 3 and Resurrection of Evil is 2-8 players. On PC there is no multiplayer options for Doom and Doom II." Bummed that the PS3 version won't ship with split-screen multiplayer. Bethesda notes that the reason for that is Doom 3: BFG Edition is based on the PC version and split-screen only shipped with the XBox version. Kind of a bummer thats not available for Doom 3 but I am seriously excited about playing Doom and Doom 2 split-screen with my friends! Why. the. hell. is there no Doom 1/2 multiplayer on PC? I feel like the PC should have more content then the consoles considering it is a much better system. Lately, I feel as though the PC players have been getting jipped. They never seem to put as much effort into the PC version of games. I can understand some PC game having less, but it's obvious that all of these started on PC, so you'd think it would make the most sense that the PC version would have all the bells and whistles. True thats a huge disappointment as me and my brother BR and some friends are really looking forward to playing multiplayer together. Doom was such a classic in my generation i remember playing it when i was young. Doom was a classic for me as well(its why I keep posting about it). I carried my floppy of it around with me everywhere so I could play it wherever I went. It is unfortunate that the multiplayer is out for Doom and Doom 2 on PC. I understand the reason but yeah... Pretty lame. I am getting it first on PS3 so ill have it but it would be pretty awesome to go through it with you all in co-op. That would have been fun. This is a bit offtopic but have you seen the "remake" more like "remastered" version of baldurs gate being made? I've always wanted proper multiplayer support for easy playability with friends. If the multiplayer is easy to access this time around I'll have a blast with it as I don't like controlling 6characters by myself. Jon: "I understand the reason but..."
panickedthumb: They released Doom & Doom 2 for XBox and it included multiplayer. I imagine the multiplayer had some console only elements to it. In the article, they list that as the reason I believe. Jacob_Richardson: I did hear about the remake and plan on picking it up when it ships as I never played Baldurs before. It's true. I think it's sort of a cop-out but it's less servers they have to sort out I imagine. At least LAN would have been something. LAN or splitscreen even. I don't know how possible that would even be on the old code, but I imagine it's a "new" engine or at least updated enough to run properly on new machines. You can do splitscreen multiplayer with two mice and keyboards on some PC games these days. I know, but it's also a matter of time and the return on that time spent. I'd do it personally but I'm not sure the time constraints at iD. Ah well, well always have the Doom open source projects. Some of those are amazing too. I haven't even looked into them in about 5 years, but back then they were already amazing. I know what I'm doing with my Sunday. One treat of PAX this year was being able to get my hands on the new Doom 3 BFG Edition. The level they demoed was the bonus "lost mission" that will ship with the game. The system I played on was Doom 3 BFG Edition in 3D on the XBox 360. I didn't have to wait in line too long and in a few minutes I put on the 3D glasses and extremely comfortable earphones and I was of exploring. Took me a minute or so to orient myself to the 360 controls but in a minute I was having fun. I have never enjoyed playing a game in 3D as much as this and I was really enjoying how immersive the 3D was. Switching weapons was fun, shooting the bad guys far away was fun... everything was... Read All One treat of PAX this year was being able to get my hands on the new Doom 3 BFG Edition. The level they demoed was the bonus "lost mission" that will ship with the game. The system I played on was Doom 3 BFG Edition in 3D on the XBox 360. I didn't have to wait in line too long and in a few minutes I put on the 3D glasses and extremely comfortable earphones and I was of exploring. Took me a minute or so to orient myself to the 360 controls but in a minute I was having fun. I have never enjoyed playing a game in 3D as much as this and I was really enjoying how immersive the 3D was. Switching weapons was fun, shooting the bad guys far away was fun... everything was really... well... fun in 3D! This is a pretty new thing for me as my vision doesn't lend itself to enjoying 3D much less actually being able to experience it but somehow, it worked really well. The game never suffered from slow down or lag, it was all very "John Carmack smooth" on the 360. This kind of thing is pretty apparent to me as I was walking around PAX and other more simple DLC games had some serious frame rate issues compared to Doom 3 BFG Edition. I remember walking by one game and @chowda and I both commented how laggy it looked for being a simple downloadable title. That said, I noticed a few other things I wasn't in love with when I played the demo. The game was easy. I hope it was just someone putting the game into wimp mode or something because it wasn't as much fun as the original in this respect. The original Doom 3 wasn't impossible, but it was challenging and you had to choose your weapon wisely and conserve on ammo somewhat. The game had liberal amounts of ammo and I got the really good guns way faster than I did in the original game. Getting the sweet guns faster makes sense as the "hidden mission" is a fairly short campaign. I am pretty sure the game will ship with difficulty modes that one can crank up, so I am not too concerned, it was just something I noticed. That said, I hope Doom 3 BFG Edition comes with difficulty levels and that those levels offer more of a challenge I experienced. All in all though, I am very excited to get this game and am seriously considering picking up some 3D glasses to compliment it. Oh right, the flashlight is totally gone in favor of you being able to flip a gun light on each of your weapons. I think this is a mistake, but making a game more accessible for a modern audience is most likely a good move, even if it changes something I loved about the original. That all said, I am more excited that I was before about picking this title up and will enjoy heading back to Mars base to make right what was made wrong by the horribly uncouth Malcolm Betruger. New trailer released for Quakecon 2012 about the new missions added to Doom 3: BFG edition. I can't wait to go back to the corridors of Doom 3! New trailer released for Quakecon 2012 about the new missions added to Doom 3: BFG edition. I can't wait to go back to the corridors of Doom 3! Few video game companies tinker with hardware like this. Few video game companies tinker with hardware like this. Taking a mounted display and making it work really well with your video game is amazing. John Carmack is well suited to this because he deeply understands how this technology all works and I envy him for being able to talk the time and dabble in this kind of work. The video is a fascinating look into the tech he has been working on with head mounted displays. Have to admit, slapping a screen inches from my face doesn't appeal to me, but it the game adjusts to my movements that does appeal to me. The video drops a few tid-bits about Doom 3 BFG edition in that it will ship with 3D and a few other features. A recent... Read All Few video game companies tinker with hardware like this. Taking a mounted display and making it work really well with your video game is amazing. John Carmack is well suited to this because he deeply understands how this technology all works and I envy him for being able to talk the time and dabble in this kind of work. The video is a fascinating look into the tech he has been working on with head mounted displays. Have to admit, slapping a screen inches from my face doesn't appeal to me, but it the game adjusts to my movements that does appeal to me. The video drops a few tid-bits about Doom 3 BFG edition in that it will ship with 3D and a few other features. A recent Penny Arcade article goes over the head mounted display and some of the Doom 3 BFG edition design points. "There was controversy over the flashlight in Doom 3 when the game was originally launched. You couldn’t have the flashlight on while you had your gun out, and the player had to choose which one to use, and flip between them quickly. I thought it was inspired, other people wondered if the future existed without duct tape. The flashlight is mounted to your body armor in Doom 3: BFG, so you can finally use it while a gun is in your hands, although the battery life is limited. My thought on the matter? id sold out. " I heartily agree with this statement. Doom 3 made a bold choice in many situations between seeing and shooting. In a jump/scare shooter this was magical for me. I know the flash light feature had its haters but I loved the difference. Many times I had my flash light out and enemies would jump out and I would scramble for a weapon. Often that meant I took a beating in the scramble. Sometimes I did fine but it was a choice I had to make. I hope there is a setting to turn it back to the old method. That said, I have the original box copy so I can always go back to playing it as it was I suppose. Feels a little like some of the changes made to the original Star Wars because of my mad love for Doom. Regardless of how this all shakes out, ill still pick it up as the new stuff really interests me. 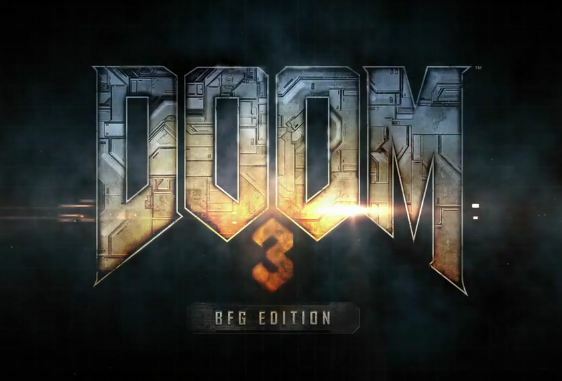 When I saw the news today that iD will be releasing "Doom 3 BFG Edition" I was extremely excited. Few games get the "HD/re-release" treatment and I just didn't figure Doom 3 would be one of the lucky few games that get it. Add in the Doom 3 expansion, the original Doom and Doom 2 and new content and my mind was blown. Doom 3 BFG Edition... Read All When I saw the news today that iD will be releasing "Doom 3 BFG Edition" I was extremely excited. Few games get the "HD/re-release" treatment and I just didn't figure Doom 3 would be one of the lucky few games that get it. Add in the Doom 3 expansion, the original Doom and Doom 2 and new content and my mind was blown. Doom 3 BFG Edition will be the final say in Doom content to date. The package will include Doom, Doom 2, Doom 3, Doom 3: Resurrection of Evil and a brand-new, "lost" mission for Doom 3 with seven new levels, a new boss and two-to-three hours of content." Doom BFG Edition will be released on the PS3, Xbox 360 and PC and I will get it the second it drops. Owning all the games and the new content sounds awesome. I can't say enough about how great Doom 3 really was and this is a change that people can get it in a more modern format. But perhaps most importantly, Xbox 360 players will be able to use their flashlight and gun at the same time, something that was not possible when the game was originally ported to the console, and which fans let id know was a problem." "I ask again if it is also a sign that Doom 4 is coming soon, and Willits just smiles." Seems like a great plan. Step 1: release all old Doom games into modern awesome sweet package. Step 2: Doom 4. Can I just say, I am stoked for this. Not only the updated Doom 3, but that they're releasing them all in one pack, playable on all three platforms. I'm *hoping* that there are some significant improvements for Doom and Doom 2, so it doesn't just launch DosBox to load it. Porting the engine to modern platforms, whether you touch the models and textures or not, would be amazing. Doom95 was fantastic for 95/98, but it is unusable now. There have been some open source attempts (and successes) to get a new and improved engine going for the games, but I'd like to see it come from id. 1. id is not dead. 2. 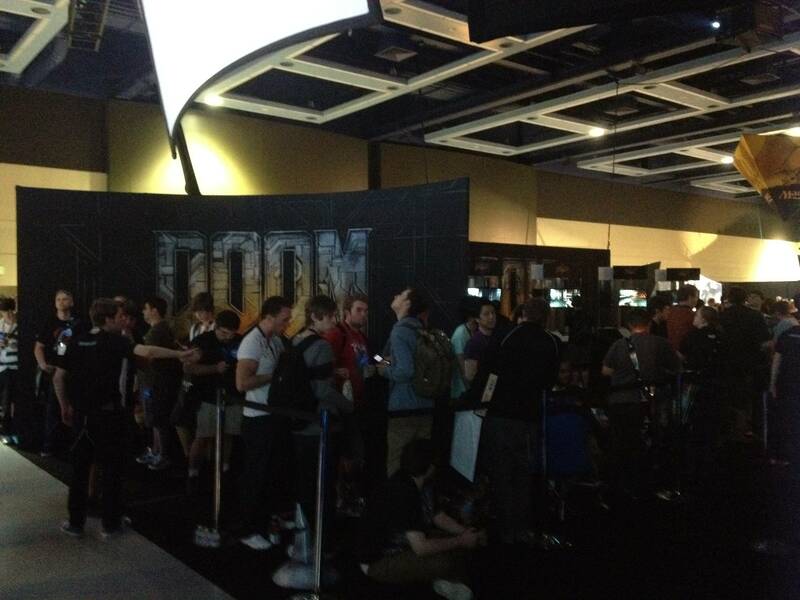 Doom 4 soon, maybe? I was kind of fearful for iD after Rage and they said all is well but you never know how that sort of thing shakes out so yeah, iD is not dead! WOOO! Can't imagine that when I boot this on my PS3 a DOS Window will show up but it may be under the covers in some kind of seamless way? I don't know and if the experience is good, doesn't matter to me much. If Carmack is on it a native port seems reasonable to imagine. 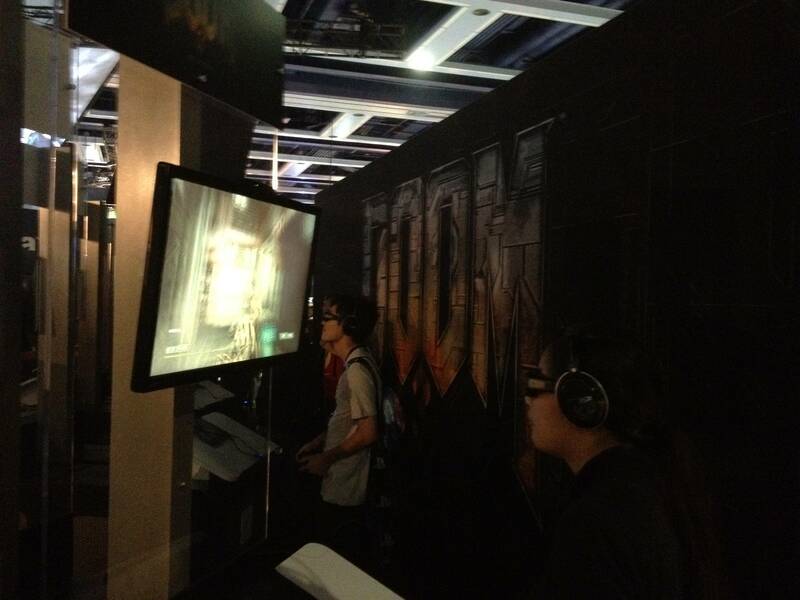 Looks like there may be a screenshot of Doom 4 floating around. If this is real, I am excited. Even if it isn't, the fact that Doom 4 is being made excites me enough. @jdodson have you seen this? I did see this screenshot. I read some stuff a yet ago of actors doing mo-cap for Doom 4. IDs had a team on it for a few years now so hopefully it will make its way to release sooner than Rage did. As to if it's real.. It doesn't seem like It to me. But you never know. Yeah man, Rage took forever to release. I remember being amazed by the screenshots years ago. Its a pretty game. Much better on the PC. A) Keep your shotgun handy and stay "safe" knowing you can shoot zombie heads off. B) Have your flashlight ready and see whats ahead while not being able to do jack squat when a demon starts throwing fireballs at your face. Many times I had my flashlight handy and something jumped at me and I frantically switched to a better gun while flailing around with my flashlight trying to stay alive. Doom 3 also had a really great art style. I don't look at screen shots or boot it up and think its a dated game. It still looks great. It also had some really cool stuff included like Super Turbo Turkey Puncher 3D and the whole martianbuddy.com locker. I also really enjoyed the audio and video discs you could find all over Mars base and I listened to them all and thought they really added to the game depth. 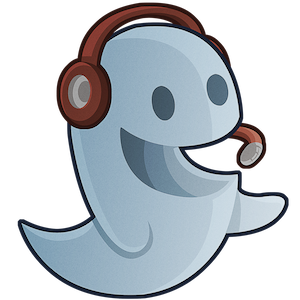 It was fun to find a new audio diary, flick it on and listen to the audio as I made my way through corpse strewn hallways. id got a lot of unwarranted flak for this game. It is one of the few games from that era that stands up to the test of time, and you're right, the graphics don't look dated. But I think we've come to a point where graphics won't look dated anymore. I can see hyper-realism coming, probably very soon, but I think in 20 years I could boot up Skyrim, Final Fantasy XIII, Metal Gear Solid 4, or most others this generation and still be wowed by the beauty of the game. The same goes for the (PC) games last generation. Obviously the pixelation of PS2/GC/XBox games from last gen won't hold up, but Half-Life 2, Doom 3, Quake 4, and many others scale up to higher graphics capabilities and will forever look amazing. That said I'm not really eagerly anticipating hyper realism. At least I haven't seen anything yet that excites me about it. Rage and Crysis 2 sure look pretty but that doesn't make them more fun than Secret of Mana. Agreed. I think too much focus has been given to graphics lately, lengthening development time and allowing other parts of the game to get away with being less polished/fun. You know what, I think I am. I need to install it first though. Ok its installed up to 1.3.1. Whats your Skype?